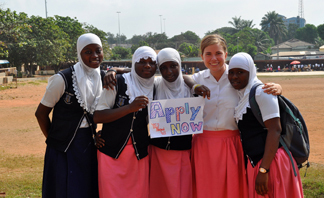 The application deadline for the 2015-2016 Kennedy-Lugar Youth Exchange and Study (YES) Abroad scholarship program is January 7, 2015. The program provides full scholarships to American high school students to experience overseas communities and cultures, preparing students to collaborate on today’s global challenges such as human rights, community development, workforce development, climate change, and global health. Sponsored by the U.S. Depart­ment of State’s Bureau of Educational and Cultural Affairs, the YES Abroad program enables students to study for one academic year in countries that may include Bosnia and Herze­govina, Ghana, South Africa, India, Indonesia, Macedonia, Malaysia, Morocco, Oman, Philippines, Thai­land, and Turkey. The merit-based scholarship covers domestic and international travel; applicable visa fees; medical benefits; room and board; tuition at the local high school; orientations; and fees for educational and cultural activities.